We are involved in the manufacturing, exporting and supplying of high quality and pure Lemongrass Essential Oil. It is hygienically prepared by steam distillation of leaves or blades of the lemongrass. 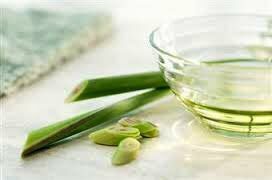 Our Lemongrass Essential Oil is widely used as an essential ingredient in skin care and cosmetic products such as shampoos, lotions, tonics and more. Owing to its refreshing & calming aroma, the oil is also used as an air freshener and deodorizer.